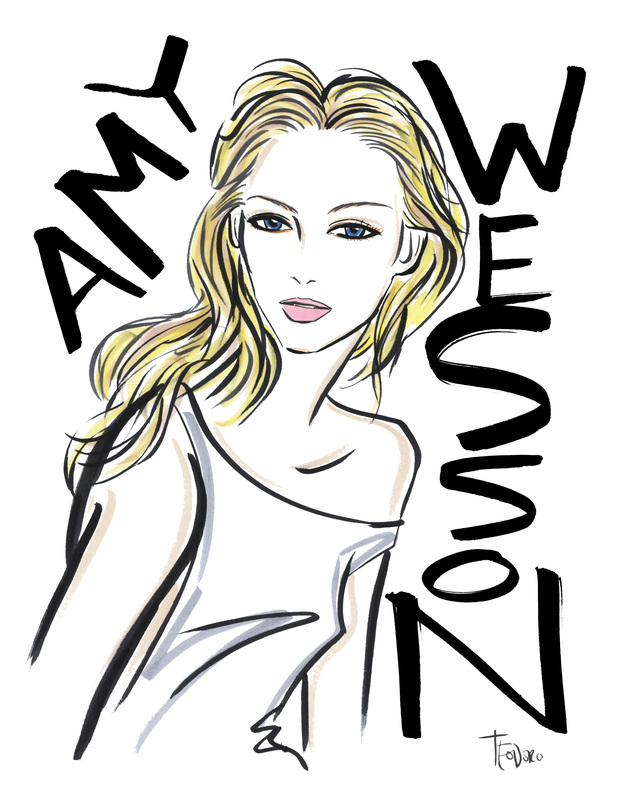 Model Amy Wesson was a ubiquitous presence in the modeling industry in the nineties. She was the face of Calvin Klein, Missoni, Versace, Valentino, and walked the international runways for every major brand. The Smashing Pumpkins selected her for the cover of their 1998 album Adore, but at the height of her commercial success things were falling apart in her personal life. I spoke with Amy by phone about those days and talked about where she is in her life now. I thought we could start with how you were discovered. I was discovered by Linda and Peter Bennett of New York Model Contracts, I think that’s what the company was called at the time, and I was living in Tupelo, Mississippi. I was discovered at one of their modeling conventions and ended up going to Atlanta, Georgia for one of their conventions. You had to get two or more callbacks and you got a trip to New York. I ended up getting like nine callbacks. Not all of them were in New York, one was in Dallas and one was in Tokyo. I ended up going to New York with Linda, and met with different agencies before signing with Company Management. Michael Flutie was at Company at the time, right? Once you signed with them did things happen fast for you? Things happened very fast. I was a teenager at the time and I didn’t think I could be a model. I didn’t have any idea how it was going to go. One of the first photographers that I worked with was Ellen Von Unwerth and Mario Testino. When I was with Company I worked with them a lot. They were kind of the ones who started my career, and then I worked with Steven Meisel— Things happened really quickly for me. Do you remember your first job with Steven? You know—there were so many shoots—I don’t really remember the first time I shot with Steven. 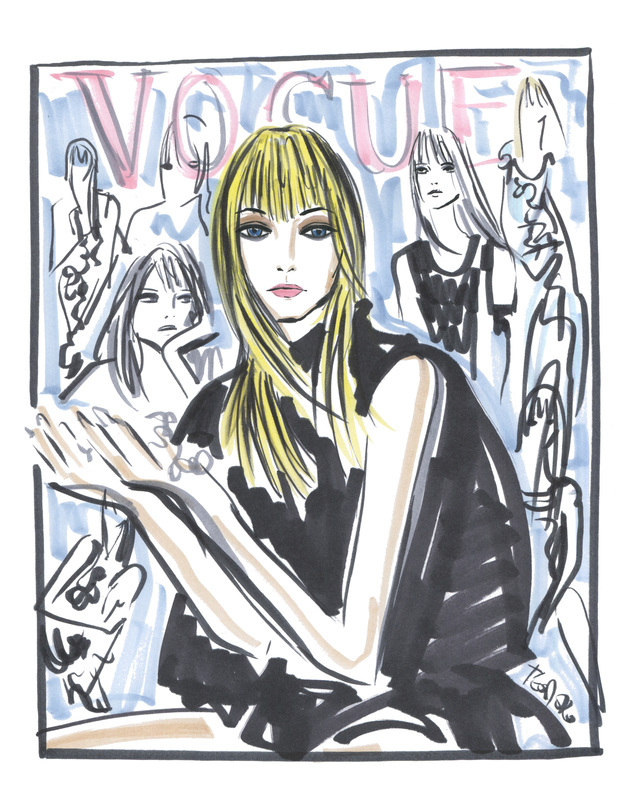 I do remember the covers that I did with him for Italian Vogue. There was one in particular with fake snow that always sticks out because it was so pretty. There were two or three covers that I did with Steven for Italian Vogue, you know, a lot of those really stick out in my head because those stories were beautiful. Was that the point that things pivoted for you? Yes, definitely. Mario Testino really started it off for me and then working with Steven was the turning point. I worked with the best. Richard Avedon was an amazing person to work with, I did Versace with him. I worked with Helmut Newton for an editorial job. I worked with Patrick Demarchelier and Steven Klein so many times. Some of the prettiest pictures I got were with Steven Klein. I was very lucky and fortunate to have the career that I had. Were you aware at the time of just how big a career you had? Yeah, I think so. I don’t know if I realized the cult following that I had. There are a ton of people out there that still post my pictures. I look back and wish I would have enjoyed the moment a little bit more and not taken it for granted so much. When you are young you don’t really take a step back and think, this is going to be over some day enjoy it while it lasts. I think I might have taken it a little bit for granted some times. Things weren’t always so great for you. Are you okay talking about that? Yeah, things were not always so great for me. I made a lot of poor choices with my addictions and now I’m sober. I have been sober from drugs for so long that I stopped counting. About 17 months ago I quit drinking alcohol as well. You know, it wasn’t something that I had an issue with but it was still an addiction. I had already quit drugs but I really wanted to get rid of alcohol too. Did you feel that you had a support system during that time? One of the things that comes up a lot when I talk to models is how isolated they feel. I was too young. I had my mom and I had my sisters but they all lived far away. I talked to them on the phone but that’s it. I didn’t have a great support system in New York. I had a boyfriend and I had some girlfriends but nobody that was I was very close to. Jodie Kidd, Bridget Hall and Astrid Munoz and I are still close. They have their own lives but I still consider them very close friends. Bridget lived right down the road from me in Brooklyn and she was a great support system. We spent a lot of time together, me and her. You have your agency but they also have 100 other girls to deal with. When things started to spiral out of control I was way too young to realize. When you do realize it you either don’t care because of your addiction or you don’t really know how to stop it. I don’t think I would have done anything different. I’m in a great place now. I have a beautiful two-year-old daughter, a really amazing 12-year-old son and a wonderful husband and an amazing support system. I wish I could have slowed down and enjoyed the moment a little bit more. I don’t really ever look back on anything and say I wish I would have changed that because then I might not be where I am at today. Living life with regret is not useful, you know? I had a wonderful career and I really am very thankful for what I had and the people that I got to know and the places that I got to go. That’s not something that happens every day so I’m very very fortunate. Talk to me about the adjustment when you left modeling. How did that transition go? I cut my hair off and was still using. Not as bad as I was during the height of my career, but I was still battling addiction. I cut my hair really short and my hair was a big money maker for me. I didn’t know that at the time. Then the work really slowed down. My niece got cancer and there were a lot of things going on. I missed being around my family a lot and I ended up going to Dallas for the summer. I ended up staying and not going back to New York. It’s really that simple. How would you feel, when your daughter is older, if she approached you and said that she was interested in modeling? Oh my gosh, no! I would have to be one of those moms who traveled everywhere with her just like Amy Lemons mom did. Do you remember Amy? Her mom used to travel with her everywhere and she turned out pretty good. It can be a very dangerous thing but it’s a once in a life time experience. If she ever wanted to do it I would be okay with it but there would be some ground rules. What did you discover about yourself through that whole process? My head was up in the clouds a lot. Now I attend to the garden and during the summer I quilt. I went back to school and it allowed me to slow down and really do some of the things that I couldn’t have done before. I look back on it and it was just a great learning experience and it’s really what’s brought me to where I am today. If I hadn’t gone through all of these things I wouldn’t have my daughter, I would never have met my husband. My life would have taken a different road. I look back on it and I have a lot of fun memories, great experiences, and I just wish I would have enjoyed it a little bit more.